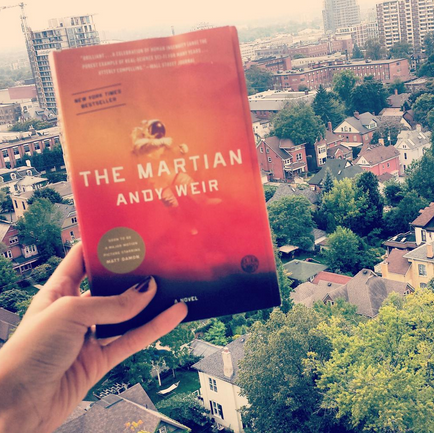 The Martian by Andy Weir: Astronaut Mark Watney was one of the first 6 people to walk on Mars. Now he might be the first person to die there. After a freak accident, Mark was stranded alone on Mars while the rest of his crew blasted away to Earth. Now, with a surprisingly active dark sense of humor, Mark journals his survival attempts. Fascinating, hilarious, and actually educational, this is a “real science” sci-fi that will appeal to lovers of any genre. Plus it was written by an engineer, so he knows what he’s talking about. Soon to be a Matt Damon blockbuster! Room by Emma Donoghue: I’ve been hearing about this book for years. I decided it was finally time to give it a try…especially since it’s going to be released as a movie this year. Five-year-old Jack and his mother live in an 11ft by 11ft sized room. They are visited regularly by Old Nick, a man who brings them Sunday Treat, sometimes sleeps over…and never lets them leave. Although it might not look like it, this is a disturbing story about a kidnapping and a mother’s love, expertly told from the naive perspective of a 5 year old. I really enjoyed the unique innocence of the perspective. Author Emma Donoghue grew up in Ireland, and currently lives in London, Ontario. 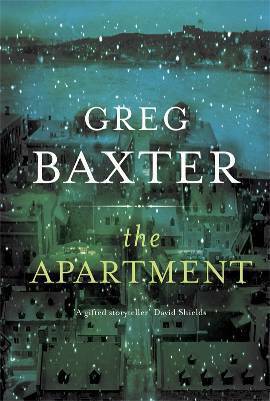 The Apartment by Greg Baxter: This is a book for people who love language. Several times while reading this book I had to pause to read excerpts out loud to whoever was in the room. Although not thrilling plot-wise – it’s about a middle-aged American veteran who moves to an unnamed European capital and spends the day apartment hunting – it is absolutely gripping in its language. The epitome of literary fiction, it includes long lyrical passages, and no chapter breaks. This is a book for readers who love beautiful description and emotional self-reflection. It’s also a book for wannabe travelers – anyone who’s ever wanted to become a stranger in a new place, anyone who would love to lose themselves on the streets of an old town. 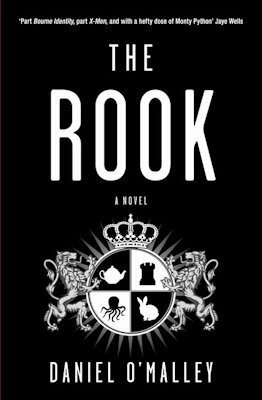 The Rook by Daniel O’Malley: Harry Potter meets X-men meets James Bond meets Ghostbusters. I know, I know it seems impossible that anything could be that awesome. But it is. A woman wakes up in the middle of a park, surrounded by dozens of dead bodies. All of the bodies are wearing latex gloves. She has no idea where she is, and she has no memories of who she used to be. Then she finds a series of letters addressed “Dear You” from her former self, explaining her situation bit by bit. Turns out she’s part of a secret organization of individuals with supernatural abilities. It also turns out that she’s quite important, and very powerful. As Myfanwy attempts to figure out who she is, and why she woke up in that situation, she also must preform her regular secret service duties, which involve a haunted fungus house, a dragon, and spontaneous ghost animals. Fast-paced, thrilling, and delightfully imagined. I can’t wait to read the next one in the series, Stiletto, to be released January 2016. Camping at the Pinery: Camping with a big group of friends is the best way to bid a summer farewell, in my books. Ten of us ventured to The Pinery on Lake Huron for a weekend full of campfires, hiking, and picnics on the beach. Ruby Rose at Beta: Ruby Rose, aka the coolest, smoothest, most tattooed Litchfield Inmate from Orange is the New Black was a DJ long before she was an actress. And she just so happened to come to Waterloo to play a show on my birthday! As you’d expect, she was talented and charismatic – the lights were awesome, her performance was charming, and the music was perfect. Forest Heights Board Game Cafe: I attended my own program, of course! Now that Books in the Park is over, I’ve got a Board Game Cafe series on the go. Each event features one local cafe (who provides delicious locally roasted coffee), and one local board game cafe (who provides awesome new games). The library also has its own small collection of games, including Settlers of Catan, Bang!, Smash Up, Pandemic, Anomia, and Avalon. Over 20 adults attended the first event on September 8th, and it was a lot of fun. Still Alice: Well, if you enjoy crying for 1 hour and 41 minutes, you’ll love Still Alice! Julianne Moore well-deserved her award for best actress in this difficult role. At the beginning of the film, she plays a brilliant linguistics professor giving an engaging lecture, and by the end she plays a woman with early on-set Alzheimer’s struggling to form words. It’s a beautiful, deeply emotional film that uses form to recreate the experience of the main character (just like the book does). I found myself tearing up when she cried, and craving blueberry coconut frozen yogurt. Powerful and delicate. What books, movies, or places did you love this week?